Creation scientists say new genetic findings challenge the evolutionary model and show that humans and chimps did not evolve from a common ancestor. 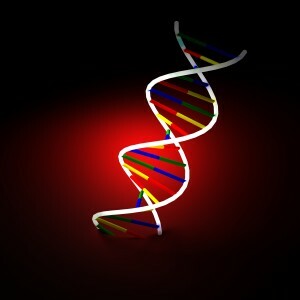 Scientists from MIT and the University of Massachusetts Medical School recently published a report in the journal Genome Research entitled “Evolutionary dynamics and tissue specificity of human long noncoding RNAs in six mammals.” The article compares human long intergenic noncoding RNAs (lincRNAs) with lincRNAs of several mammals—including chimps and rhesus monkeys. According to experts, lincRNAs are critically important to cells’ existence and serve many different roles. Not only are lincRNAs found within cells’ nuclei and cytoplasm, but they also assist communication between cells. According to evolutionary theory, the lincRNA patterns of humans and chimps should be similar, since—according to evolutionists—humans and chimps evolved from a common ancestor. However, the journal article reports that a significant portion of human lincRNA is unique to humans—not found in chimps or monkeys. “We find that at least 35% of human lincRNAs show orthologous transcripts across mammals, and 20% are not conserved beyond chimp and undetectable even in rhesus,” the scientists reported. This unexpected revelation led the scientists to assume that human-specific lincRNAs are “faster-evolving” than lincRNAs from animals. However, Dr. Jeffrey Tomkins, a geneticist with the Institute for Creation Research, says this assertion does not hold water. However, the Genome Research article revealed that chimps and humans are more genetically dissimilar than evolutionists expected. Dr. Tomkins told Christian News Network that he has personally studied over 50,000 lincRNA gene regions and found that the genes of humans and chimps are distinctly dissimilar.